The Nvidia GeForce MX150 is a dedicated entry-level mobile graphics card for laptops. When it was launched with the first laptop that featured it back in late 2017, it came to replace the old GeForce 940MX, with the company claiming it was 25% more powerful than its predecessor overall. Nvidia also claimed it run 4x the power of integrated Intel HD graphics card that are baked in the laptop’s processor. The MX150 is a very popular graphics card for budget laptops, and also ultrabooks. While the MX150 will enable you to play at 60fps and FullHD resolution a few famous eSports titles, such as LoL, CS:GO, Dota 2 and World of Tanks, it won’t make any miracles for the latest and highly demanding AAA games. So, you’ve been warned; the MX150 is not a high-end GPU for the power user. Although if you’re looking for a laptop with something more than an integrated Intel HD GPU, that is notably not an option to consider for the casual gamer or photo editor, going for a laptop that features an Nvidia GeForce MX150 might be your best choice if you’re on a relatively tight budget. Along with its affordable price, the MX150 comes with a dedicated Nvidia GeForce Experience software, that’ll do the hard work for you to decide which graphic settings you’ll be running at on a set of supported games. While it’s not designed to fluidly run the latest and more GPU demanding AAA games, with the MX150 you’ll still be technically able to play some of your favorite titles if you dial down your settings low to mid and lower the resolution as well. Compared to the last-generation of Intel UHD 620 integrated graphics card, the Nvidia GeForce MX150 will also enhance your photo and video editing experience to a decent level, running some modeling and designing software like SketchUp and Adobe Photoshop pretty smoothly. There are currently two variants of the Nvidia GeForce MX150 available: a “normal” one, the N17S-G1-A1, and a more power efficient one, the N17S-LG-A1, which is designed for thinner, light weight laptops. The power efficient variant has a slightly lower performance than the normal one, due to its 32% lower boost clock, so you might want to check that spec out before purchasing your new laptop. Now that you have an idea about the capabilities of the Nvidia GeForce MX150, here are 5 of the best laptops with MX150 that we’ve reviewed for you. 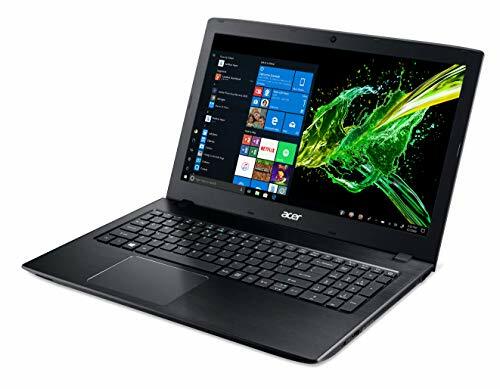 The Acer Aspire E 15 E5-576G-5762 is a great all-purpose laptop, packed up with a few notable goodies considering its affordable price. The E 15 is a great option if you’re looking for a mid-range gaming laptop. The Aspire E 15 is equipped with an 8th generation I5 processor, 8GB of RAM, a 256 solid state drive and a dedicated Nvidia GeForce MX150. The Aspire E 15 offers a consistent performance and stays very responsive thanks to the included SSD, and the fast RAM. And in case you need more power, the RAM is expandable to 32GB, and you can add a second hard drive too. The Aspire E15 also offers great battery life: while Acer claims it can last 12 hours, you can expect an average of 8 hours in real world use, which is excellent at this price range! 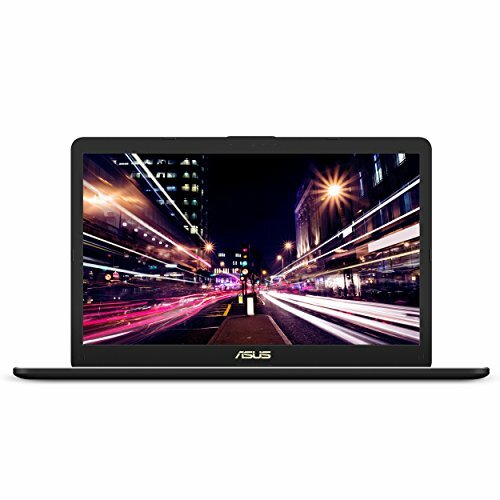 The Asus VivoBook S S410UN-NS74 is a good-looking, thin and light 14” laptop, being a great choice for those who wish to run a few less demanding games and editing software while traveling on a daily basis. With its budget price being a little higher, the VivoBook S offers a design on the point while being packed with an Intel Core i7-8550U processor, 8GB of RAM and a 256 solid state drive, with a dedicated Nvidia GeForce MX150 GPU. The Asus VivoBook S is a portable and overall efficient laptop, weighting only 3.2lbs and 0.7” thick when closed. It comes with a NanoEdge Display for higher screen to body ratio and great viewing angles, and SonicMaster for great audio performance. The VivoBook S lasts about 7 to 8 hours of battery life. It also comes with slots for an additional stick of RAM and a second SSD as well, that might render it an all-powerful machine. 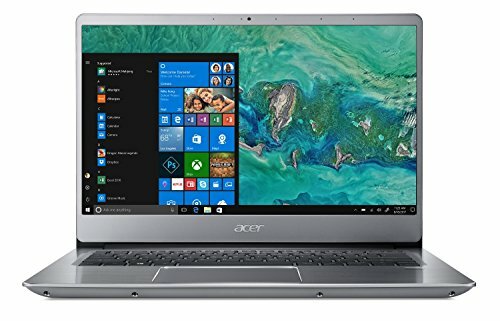 At a slightly higher price, we have the Acer Swift 3 SF314-54G-815P, an all metal silver body 14” laptop with great performance thanks to its 8th generation Intel Core i7 processor, 8GB of RAM, a 128 solid state drive and a 1TB HDD for additional memory storage, and an Nvidia GeForce MX150 dedicated GPU as well. The SSD can be upgraded up to 256 for an even smoother performance. The Acer Swift 3 is a light weight and powerful laptop, coming with an USB Type C port, two USB 3.0 ports and a USB 2.0 port. It also features a fingerprint reader and backlit keyboard. The Swift 3 offers up to 12 hours of battery life, giving a generous amount of memory storage and a powerful performance overall, one of the best at its price range. 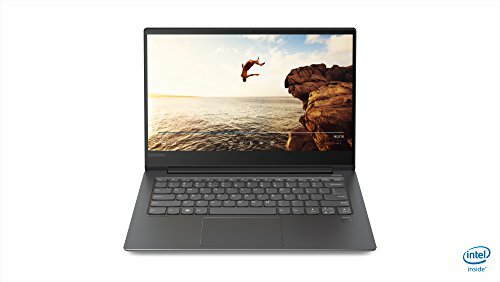 The Lenovo Ideapad 530S is a 14” black laptop, offering a great screen resolution of 2560×1440 for a slightly higher price. It’s packed with an 8th generation Intel Core i7 processor, 8GB of RAM, a 256 solid state drive and a dedicated Nvidia GeForce MX150 for playing a few medium ranged games and tackling intensive photo and video editing tasks. With a weight of 3.5lbs, the Ideapad 530S offers great connectivity with two USB Type-C ports and a USB 3.0 port. It also features a fingerprint reader. With its sleek design and the capability to be tilted up to 180°, the Ideapad 530S is an overall great quality laptop, being a great choice for portability thanks to its 8 hours of battery life. 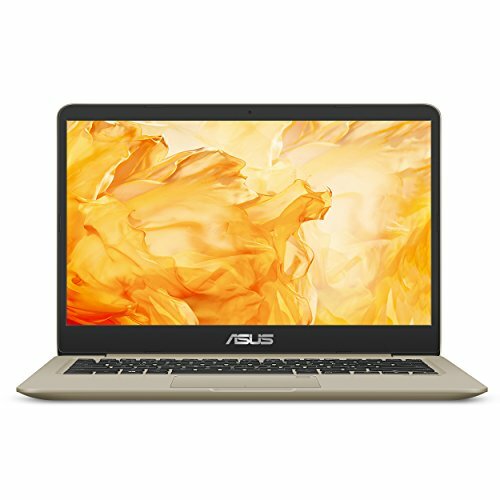 The Asus VivoBook Pro N705UN-ES76, a thin 17.3” laptop with FullHD Wide View display. It features an 8th generation Intel Core i7 processor, 8GB of RAM, a 256 solid state drive and 1TB of HDD additional storage, with dedicated Nvidia GeForce MX150 graphics. For a slightly higher price, the VivoBook Pro offers an ergonomic backlit keyboard with a separate number pad, being a great choice to back you up in your daily work tasks as a designer. The VivoBook Pro offers a durable battery with lightning-fast charging technology and comprehensive connections with a Type-C USB port among the others. It’s definitely a strong choice if you wish for a fast and powerful laptop.